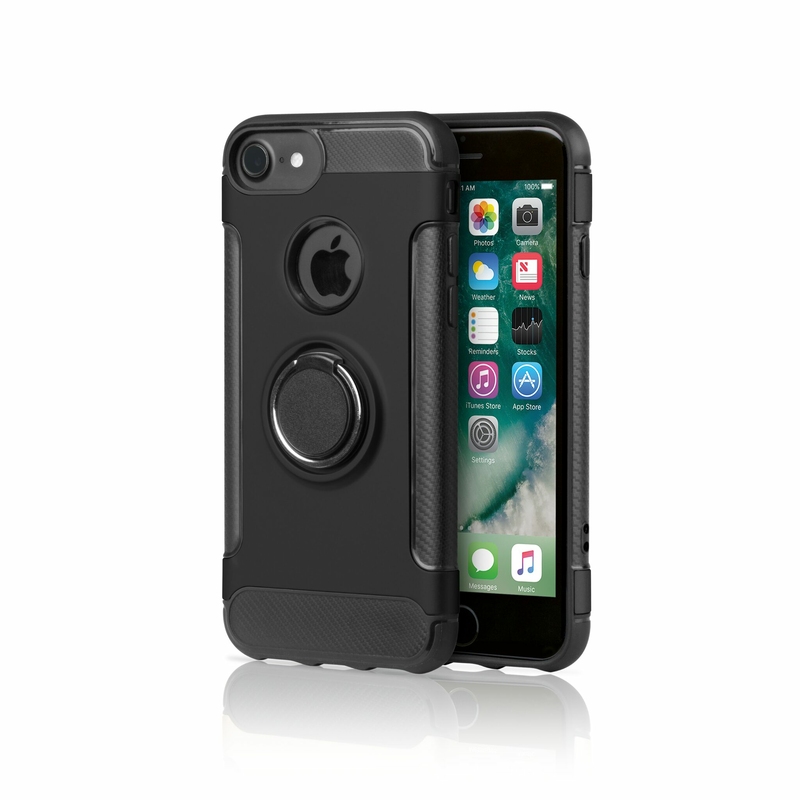 AT&T the leading American brand that s synonymous with innovation in communications brings you a slim profile ring holder case for iPhone 7 and iPhone 8. Built-in ring holder provides a secure grip, so you will never drop it. It also functions as a kickstand, so you can view your iPhone at the optimum viewing position. Non-slip textured finish provides you better grip. Ring holder provides you compact and form fitted design without extra weight. This case feels really secure in your hand. Specially designed for iPhone 7 and iPhone 8, it has precise cut-outs for speakers, charging ports and buttons. Moreover, this phone ring grip can work with magnetic car mounts as well without the need to paste an additional magnetic mount on your case. 360-degree rotation and 180-degree flipping features provide you with the most comfortable angle to enjoy the show. Buy it now to release your hands.